"Going mono" isn’t yet an audio catchphrase, but more and more of us have taken that route for its deeply rewarding pleasures -- a sound some think superior to stereo in richness and immediacy. There’s also that vast treasury of vintage LPs that makes its way to devoted listeners via eBay, other online merchants, St. Vinnie’s and Goodwill hunting, and such bricks-and-mortar establishments as the venerated Princeton Record Exchange, Berkeley’s Amoeba Music, and the House of Records here in Eugene, Oregon. What’s more, a vibrant specialty market has sprung up, with stunning reissues of famed early rock and jazz recordings from such labels as Classic, Cisco, Music Matters, Speakers Corner, JazzWax, and Sundazed -- often pressed on heavy biscuits of 180g and 200g vinyl. My own late-night listening now is almost exclusively devoted to mono recordings. "But what do you use for a cartridge?" The question sometimes comes up in amiable chats with fellow vinyl rats as we browse the LP bins, trying to beat each other to the next esoteric prize in its split and battered jacket. Hoping to sound truthful but not too technical, I usually say, "Oh, something kinda old-school" and leave it at that. The whole truth is, for the past few years I’ve used Ortofon’s GM Mono Mk.II -- a low-compliance, high-impedance (100 ohms internal), high-output, moving-coil SPU that comes in its own retro, G-style headshell (a 51mm distance from stylus tip to collet edge). It mounts, bayonet-style, directly on my Ortofon RS309-D tonearm, itself a 12", high-mass (with appropriate headshell), current-production model designed as a kind of throwback to vintage arms of the 1950s. Lately, though, I’ve been exploring contemporary, 0.5" MC mono cartridges of low to moderate compliance that are designed to be mounted in fixed or detachable headshells on the low- to medium-mass arms more popular among audiophiles who spin vinyl. The Miyajima Premium BE mono cartridge has been getting quite well known lately, regularly appearing at audio shows on tonearms made by Artemis, Schick, and Schroeder. 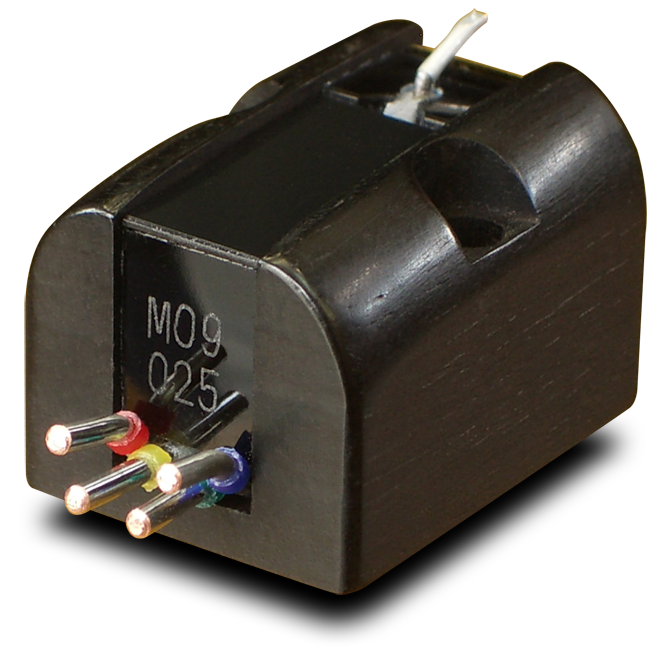 It’s a low-compliance (8x10-6cm/dyne), low-impedance (6 ohms internal), medium-output (0.9mV) MC cartridge imported from Japan by British-born New Jersey resident Robin Wyatt, the genial owner of Robyatt Audio. Wyatt has long been known in the industry for finding and selling quality products at reasonable prices, and the Miyajima line of cartridges is no exception. Miyajima’s very popular Shilabe MC stereo cartridge lists for $2995 USD -- far less than its competition. The Premium Mono lists for $1050, the Premium BE Mono for $1260. The extra $210 gets you a body of black ebony (BE) rather than one of standard brown ebony. Both are very handsome. Wyatt told me that there is also a low-output, 0.45mV version available as a special order for $100 more. In other recent reviews, much good-natured hilarity has been inspired by the Miyajima website’s broken English explanation of a unique design having to do with its cross-ring motor and the more precise movement of its coil. While I can’t claim to understand much regarding the intricate arcana of the cartridge’s technical features, I did grow up in a household that regularly creolized English with Japanese, Hawaiian, and Portuguese. Miyajima’s completely earnest text sounds like music to me -- as did its cartridge. What concerns me more than any other aspect of the Premium BE’s design is the radius of its conical diamond stylus -- 0.7mil, or 25µm -- basically, the same radius as the styli that were designed to track the grooves of the monaural 33.3rpm LPs pressed from 1948 to 1958 (1 mil = 0.001"). The standard width for these old records was 2.0mil, and the 0.7mil-radius stylus rode comfortably within it. However, I believe that its conical (or "spherical") design and 0.7mil radius can have implications for the application of the Miyajima Premium BE for some records cut and pressed since 1958, when a narrower stereo groove became standard and the standard groove profile was switched from U-shaped to V-shaped. The Premium BE arrived in a plain white cardboard box. Inside was a hard, snap-open case covered in the kind of blood-red, faux velvet you might find on a purse or a pair of women’s pumps at T.J. Maxx. 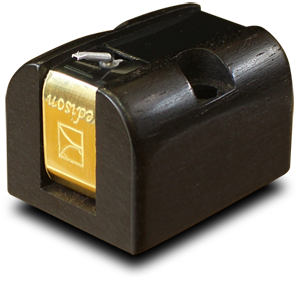 But this case contained a gorgeous, ebony-bodied cartridge with an attractive brass endcap directly above the cantilever. Beside the cartridge was a small packet of mounting screws, nuts, and washers, and tucked under it were an information sheet, a warranty card (in Japanese), and two trouble-shooting sheets. These last addressed issues of electrical noise and repositioning off-kilter cantilevers, but I never encountered any lasting problems with either. The cantilever and stylus were protected in a light, tension-fit, clear plastic mask that slipped off and on easily. One piece of the information provided I found very useful: how to connect the cartridge pins to the clips of my tonearm cables. If you go by the color-coded plastic rings mounted directly onto each cartridge pin, the Premium BE’s arrangement of these is a bit different from stereo: red and white are on one side, blue and green on the other. I first made the mistake of not following the color-code, as it actually conflicted with the printed directions inside the box, mounting the cartridge with the clips and wires in the usual way, and quickly got a ground hum that told me how foolish I was. Later, Robin Wyatt explained that I'd received instructions for the stereo Shilabe cartridge by mistake! When I hooked up the Premium BE properly, the noise disappeared and the cartridge played quietly throughout the review period. I’d mounted the Premium BE in an Ortofon LH 9000 headshell made of magnesium and carbon fiber and weighing a whopping 16.8g. As the Premium BE itself weighs 10.8g, the total weight of headshell plus cartridge was 27.6g -- only 2.3g lighter than my Ortofon SPU GM Mono Mk.II and, I think, well suited to my Ortofon RS309-D tonearm. After adjusting the distance from pivot to stylus point for 326mm overall as I would for the G-style pickup head of the Ortofon SPU, then checking the alignment, I set the downforce at the recommended 3.5g. The entire installation took less than 15 minutes. However, through time and trial, I found that the Premium BE performed best with its tracking force set to around 3.85g -- the extra 0.35g calmed some of the surface noise that cropped up from time to time, and improved tonal saturation, especially with saxophones, trombones, and clarinets. Nor did this slightly greater downforce -- still well within Miyajima’s recommended range of 2.0-4.5g -- seem to sacrifice any clarity or add any grit in the highs. When I tried 4.0g, however, the highs did suffer -- more glare crept in. I recommend some experimentation here. For some weeks, I ran the Premium BE’s output through a variable-gain Music First step-up transformer plugged into my Herron VTPH-2 phono stage’s moving-magnet inputs, but there seemed to be some loss of signal as compared to the Ortofon SPU run the same way. So I switched to running the Miyajima with active gain via the Herron’s MC inputs (run wide open with no loading), and felt that sounded best. Therefore, my listening evaluations reflect how the Premium BE performed with the Herron’s active MC gain. However, near the end of my listening, I received an EAR MC-4 step-up transformer (review to follow), also with variable gain, and with variable impedance as well; the Premium BE performed very well via the EAR’s 6-ohm taps (voltage gain x24). Over my several months with the Miyajima Premium BE, I played through nearly all of my mono LPs, both vintage and reissue, and came away duly impressed. Particularly with vintage jazz and pop and most mono reissues, the Premium BE performed wonderfully, with an ease of pace, regularly prodigious bass, thumping kick drums, and great tonal saturation in the midrange with horns and male voices. The title cut of Frank Sinatra’s Come Fly with Me (Capitol W 920, released in 1958) had great bounce in the style of late-’50s nightclub jazz perfected by this founder and leader of the original Rat Pack. Billy May’s orchestra sounded fine -- horns rich and punchy, great bass and rhythm guitar, the violins mainly good if occasionally a shade harsh. The main thing, though, was the bravura expressiveness of Sinatra’s voice, which was clearly what made him so famous -- a clarity, robustness, and sense of playfulness that was the epitome of sports-car-and-cocked-hat carefree. With Bob Dylan’s Bringing It All Back Home (Columbia/Sundazed LP 5070), the Premium BE exhibited a marvelous capacity to track Dylan’s chameleon-like musical personality through many different vocal personas and timbral preferences. Dylan’s unusually dulcet voice was warm and completely present on "She Belongs to Me." The Premium BE revealed a capacity for detail and speed that captured the dramatic and percussive dynamics of Dylan’s acoustic guitar strumming in "It’s Alright, Ma (I’m Only Bleeding)." It sounded very "live," the strings catching just for a nanosecond on the flat pick as it crossed them on his emphatic strums. But then, in "It’s All Over Now, Baby Blue," Dylan’s voice could sound nasal, tight, and straining as he climbed to the limit (and beyond) of his register, while never quite sounding peakish or compressed by the recording or playback system. The Premium BE consistently sounded open at the top, never metallic or glassy. The Miyajima sounded equally good with saxophones. Ben Webster’s tenor was big, broad, and gorgeous on the title cut of Soulville (Verve MG V-8274, released 1957) and on "Tenderly," from King of the Tenors (JazzWax JWR-4511). John Coltrane’s swaggering solo after Miles’s theme statement in the title track of ‘Round About Midnight (Columbia/Speakers Corner CL 949) was penetrating and tonally saturated, the cartridge rendering clearly his characteristic biting attack. Alto saxes, too, sounded sweet and punchy -- notably Zoot Sims’s solos in George Handy’s "Quicker Blues," from Zoot Sims Plays 4 Altos (ABC-Paramount ABC-198, released 1957); and Johnny Hodges’s playing throughout Johnny Hodges and the Ellington All-Stars (American Recording Society G 421-A, released 1957). Hodges bent his high notes so slooooowwwwwly in "Black and Tan Fantasy" that it was like a bluesy t’ai chi -- patient, melodious, melismatic, and quietly muscular. The Premium BE also performed with superb agility and resolution when tracking the finest recordings. There was gorgeous and intricately articulated brocade in the horn choruses of "Night in Tunisia," the famed and speedy bebop piece by Dizzy Gillespie, from Michel Legrand’s Legrand Jazz (Columbia CL 1250, released 1958). Phil Woods’s alto was lively and virtuosic, Jimmy Cleveland’s trombone rich and propulsive, and Art Farmer’s and Donald Byrd’s trumpet solos were completely distinct -- one at first brassier than the other, the two then blending in a riddling duet of triple-tongued chasing. From the same LP, "Stompin’ at the Savoy" was tuneful, speedy, and nimbly performed, but each wind instrument sounded full and mellow, with great tonal density and richness. Horn solos came up from a boiling matrix, intertwined, canoodled, and simmered off on their own, rising from and falling back into the mix. It was all great fun -- the Premium BE’s excellent resolution let the snappy pace of the music shine through while providing lots of timbral separation among the various instruments. The Miyajima proved more than decent with female voices as well. There was a gorgeous tremolo in the lows and mids of Sarah Vaughan’s voice, a vibrancy to the highs in "My Funny Valentine," from All Time Favorites (Mercury/Wing MGW 12123, released 1963). I heard great presence and detail. The guitar accompaniment was rhythmic and mellow, the strings somewhat distant, though not at all "white" or edgy. And what wonderful bloom to Vaughan’s young voice! Operatic sopranos fared well, too. In "O mio babbino caro," from Puccini’s Gianni Schicchi (EMI ALP 1726, released 1958), Victoria de los Angeles’s lyric soprano was lovely and clear. Orchestral violins swelled sweetly, and de los Angeles’s top notes in this brief and precious aria were moving and graceful. The one drawback in this terrific cartridge’s overall performance came only with a specific line of reissue vinyl. While contemporary mono pressings from Speakers Corner, Classic, MCA, JazzWax, and Sundazed all fared entirely well, those from Fantasy tended not to. Every Fantasy reissue of a Prestige Microgroove recording in my collection, with the exception of Miles Davis’s Walkin’ (OJC-213), had tracking problems. This amounted to some dozen LPs by John Coltrane, Eric Dolphy, and Davis, and for a while the problem vexed me. At first I thought it might be due to resonance in the Ortofon tonearm, perhaps because of a compliance issue with the 0.5" cartridge. But because this mistracking occurred with no other mono LPs in my collection, whether vintage or reissue, I began to suspect that the cutting lathes used by Fantasy were calibrated the same for the mono LPs as for their stereo editions -- the width narrowing and profile changed from the prior U-shaped mono standard to the new V-shaped for stereo and stereo-era mono. The narrower, V-shaped stereo groove that came in around 1958 eventually replaced the wider U-shaped mono groove as the industry standard. According to Rolf Badenhausen, in an online article titled "The Genesis of Vinyl Stereo Record" (sic), the minimum groove width was reduced from 55µm (the famed "Microgroove") to 40µm for stereo. It seemed telling that these Fantasy LPs played with no problems whatsoever using an Ortofon Cadenza Mono, which has a narrower, line-contact mono stylus. In fact, this is why many aficionados recommend that reissue mono LPs be played with a stylus of narrower profile, and of elliptical rather than conical shape. The EMT OFD15 mono SPU cartridge, a conical, has the narrower stylus radius of 15µm rather than 25µm, for example, and the new Ortofon Cadenza Mono uses a slimmer, 8x40µm, line-contact stylus. Both are designed to fit more precisely into the narrower, stereo-size and V-shaped grooves of many reissue mono LPs. My reference mono cartridge is Ortofon’s SPU GM Mono Mk.II. Like the Premium BE, its stylus is spherical, with a radius of 25µm (0.7mil). It comes in its own headshell, and is a G-style pickup head that attaches directly to my Ortofon tonearm via a bayonet mount and locking collar. It’s important to note that the GM Mono Mk.II’s internal impedance is a relatively high 100 ohms, as compared to the low (6 ohms) internal impedance of the Miyajima Premium BE. The GM Mono Mk.II’s dynamic lateral compliance is 12µm/mN (the Premium BE’s is 8x10-6cm/dyne), and although an MC, its output is a very high 3.0mV, which is in MM territory. Its gain is such that I can run it direct into the MM or MC input of my Herron phono stage, or into my variable-gain and variable-loading Music First step-up transformer (at a ratio of 5:1, where I think it sounds best). It does a good job no matter what I plug it into. Overall, playing the same vintage mono LPs, the Ortofon GM Mono Mk.II sounded bigger, cleaner, sweeter, and a touch more resolving than the Miyajima Premium BE. Yet, on most re-issue mono LPs, the Miyajima Premium BE bettered the GM Mono Mk.II’s sound, being usually richer, cleaner, and more detailed. Moreover, if you consider the Premium BE’s performance across the entire spectrum of original and reissue mono LPs (with the exception of those Fantasy reissues), the Miyajima did extremely well. In fact, it bested both the GM Mk.II and the Cadenza Mono, playing both eras of mono recordings more consistently than either. In terms of generosity of sound, it approached the character of the Ortofon SPU. Although it gave a slightly less up-front perspective on the music with vintage vinyl, it sounded more like the GM Mono Mk.II than not. And with most reissue mono LPs, it sounded almost as resolving and dynamic as the new and recently reviewed Ortofon Cadenza Mono. For example, at the close of the title track of Speakers Corner’s reissue ‘Round About Midnight, Coltrane’s droning accompaniment on tenor sax put such a pillow of burnished sound under the leader’s beautiful and supple runs that it sounded as if a carpet of plush velvet were being gently unfurled under the silk slippers of Miles’s muted roulades. The Miyajima Premium BE performed capably with both vintage and reissue mono LPs, proving itself more versatile across a wider range of mono recordings than either Ortofon’s SPU or their new Cadenza Mono, each of which seems to have a more specific application. 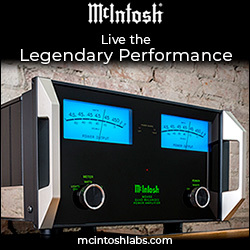 Not only is the Premium BE a high-value product, it produces a satisfying, saturated mono sound that guarantees great fun with vintage recordings of mono jazz and pop albums, and with most reissues. If I were just getting curious about "going mono" and wanted to buy a single cartridge to play all my mono LPs, the Miyajima Premium BE might just be the one.